MOSCOW, April 16 (Xinhua) -- The expansion of BRICS, known as "BRICS Plus", could become a new model of integration in the global economy, chief economist of the Eurasian Development Bank (EDB) Yaroslav Lissovolik said on Sunday. "Integration proceeded previously as a rule on a regional basis, and BRICS offers a system of diversified integration that provides for a consistent movement towards rapprochement on different continents and in different regions of the world," he said in an exclusive interview with Xinhua, adding that the expansion of BRICS would be aimed at increasing the availability of integration processes. According to Lissovolik, "BRICS Plus" is an important initiative "aimed not at expanding the very core of the association and including the largest developed countries, but at increasing its openness and accessibility to integration for the states of the developing world." Earlier last month, Minister of Foreign Affairs of China Wang Yi said that China would explore expansion modalities for "BRICS Plus" and build a wider partnership by holding dialogues with other major developing countries and organizations, so as to turn Brics into the most-influential platform for South-South cooperation in the world. 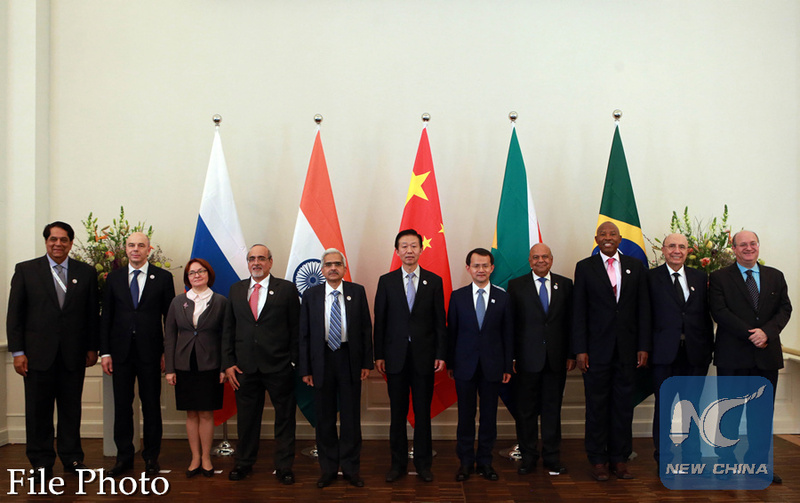 Currently, the BRICS group has five member countries: Brazil, Russia, India, China and South Africa, and potential new member countries reportedly include Mexico, Pakistan and Sri Lanka. "The proposals of Minister of Foreign Affairs of China Wang Yi regarding the expansion of the BRICS partnership zone are not only timely in the light of China's presidency in BRICS, but they are also aimed at giving new impetus to integration processes in the complicated conditions of protectionism spread in the world economy," Lissovolik said. The expert called BRICS an ideal platform for increasing the level of accessibility of integration for developing countries. "The largest countries in the developing world - BRICS countries - are present in almost all key regions of the world, so the talk is about creating a platform for exchanging trade and investment preferences," Lisovolik said. At the same time, he believes "BRICS Plus" system should interact with developed countries, and in this process the role of China is paramount. "China's role here is very important, because the Silk Road project links the developing countries with the developed ones, the East and the West, so it can become one of the key chains in terms of megaprojects linking the North, South, West and East," he said. While underlining China is becoming the world economy leader in promoting openness and integration, Lissovolik also pointed out that the mechanism of implementation and the principles of "BRICS Plus" system are not yet defined. "The principle of openness of partnerships declared within the framework of the 'BRICS Plus' system and the role of this factor in giving greater stability to the world economic development are extremely important," Lissovolik said. Lissovolik noted that "BRICS Plus" countries should form an alliance in key international organizations, including the WTO, in order to defend their interests and negotiate with developed countries on liberalization in trade and investment spheres. It is noteworthy that BRICS is strongly supported by the rapprochement between Russia and China observed in recent years, Lissovolik said. "With more active participation of other major players in the implementation of investment projects, this cooperation can lead to the formation of a powerful Eurasian belt in world geo-economics," he said. According to Lissovolik, the New Development Bank (NDB) of BRICS would eventually solve many of the problems developing countries face, in particular those related to infrastructure development and stimulating investment cooperation between participating states. The NDB is a multilateral development bank of BRICS countries created to mobilize resources for infrastructure and sustainable development projects in BRICS and other emerging economies. Fully operational in 2016, the bank approved that year loans involving financial assistance of over 1.5 billion U.S. dollars for projects in the areas of green and renewable energy, and transportation.